For this week we decided to have Punisher in a battle as the new season of his show just came out. His opponent is John Wick who just had trailer drop for his new movie. Two deadly marksman going at it. This is a random encounter (no prep for either side). This is MCU Punisher. Both character are armed with one Assault Rifle, one pistol and one knife. As well as their standard armored clothing. 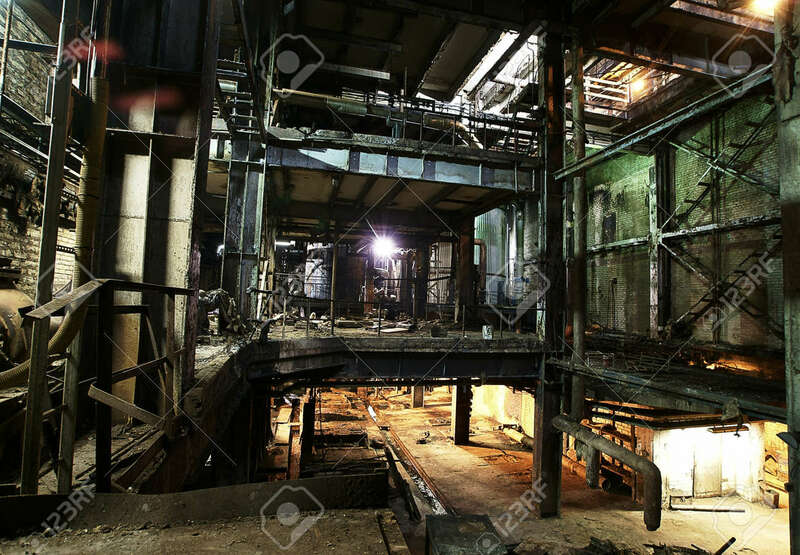 The fight takes place in an abandoned factory. Fighters start at opposite sides of the building out of sight of their opponents. Incapacitation, knockout, BFR (battlefield removal, which means knocking someone so far away that the fight cannot continue in the very near future) or death all count as elimination. Making a tactical retreat counts as a loss, too. "What's a tactical retreat?" It's leaving the fight with the intention of not returning to the battle in the immediate future. Going to another spot in the environment to catch your breath for a moment or two or for a tactical advantage is not a tactical retreat. Treating everyone else in the debate with respect is a sign of a good debater. If you think someone's saying something that just isn't true, go ahead and stick to the facts to point out why. There's no need at all to drop insults just because you disagree with someone. This is just talking about a fictional fight, there's no need for immaturity and mudslinging about fan fic. If you think the votes aren't going how they should, making an informative post about why a character is being underestimated and spreading the word is far more useful than complaining. One more thing: you don't need to write an essay to have your post highlighted in Friday's article. Sometimes concise posts can be way more effective than a flood of paragraphs. Viner posts that stand out will be included at the end. Votes last till late Sunday, and the votes will be posted in the OP to see where combatants stand by Sunday. Votes do not determine who wins, only who the majority at the time sides with. Special thanks to @k4tzm4n for allowing me and other users to continue making these battle of the week threads. Based on rules I’d say John pops a headshot with one of his firearms as he’s s better shot than Frank. If Frank can close the distance and turn this into an ugly brawl I’d back him tho. Punisher in a good fight. Superior durability and pain tolerance grant him the win. If the fight goes to Melee, Frank is the clear superior as well. Frank, although John has a chance from a distance , but up close Frank is an ugly fighter. Punisher. Wick's better at long range, but Frank isn't stupid enough to get spotted and try to kill a superior sharpshooter He'll try and get in close, and as a larger and stronger fighter, he'll be able to overcome Wick and kill him. Only way that Wick could win if this turns into a prolonged firearm fight. Given the location, I would have to back Frank. He simply has better stealth feats, and that is a factor given the warehouse for this battle and the fact that they start out of sight. He uses stealth during the forest shootout scene in season 1, even hiding under a pile of leaves. He uses stealth when he takes on Russo's crew in his and Micro's hideout. And most impressively he is able to move quickly and quietly through the forest while his enemies are shooting randomly not knowing where he is as he takes them out, which can be seen here. We see Wick use stealth during the Red Circle club fight scene in his first film, and again when he retrieves his car at the start of the second film. But in those instances he isn't tricking anyone or remaining hidden, he is just attacking individuals who are alone and not in earshot of other enemies. He doesn't have a good understanding of his surroundings or how to stay in control of the scene. His stealth isn't as tactical or adaptive as Frank's. I don't see a scenario where Wick wins here since he is not getting the jump on Frank and cannot beat him in hand to hand. The location favors The Punisher's fighting style a lot more. And even f it did turn into a long gun fight, I would still just barely back Frank. Frank is fast enough to quickdraw six men at once after they already had their weapons out and without any of them returning fire, meaning he is fast enough to keep up with Wick. He also has far greater pain tolerance and should be able to last longer through damage. Wick likes shooting enemies through walls and using the environment but he isn't shooting Frank through the brick walls of this warehouse and Frank knows how to use the environment as well. @jayc1324: Very nice post. Agreed with all of it. Given Frank's superior stealth and tactical skills I think he should take this one. That said, in a straight up firefight I'd give Wick the edge. Frank is simply so much better overall. It's a general rule I think that CBM fighters are a lot better than regular film ones. Whilst Wick is a better marksman (IMO), Frank is a better fighter by a considerable margin. Wick could win if he keeps his distance, tho if Frank closes down the distance, he's going to win. Along with his MUCH better damage soak, I'd give the overall win to Frank in a great fight. Frank is superior in every way. You think he's better in a straight firefight? Better pain tolerance than wick? Lol. I would say they have equal, or wicks is better. Probably Frank. He has better stealth feats, but lol at him being a better shooter. I'm surprised by the answers. I really don't think this is fair at all. In a straight fight, I'd back Frank in a close battle, and John Wick with distance. However, I think John has the edge in this fight. We've seen Frank get impatient a few times throughout his 3 seasons. Oftentimes calling out for his opponent or attempting to lure his opponent out. Which works for him in most scenarios; but would get him killed here. I know he has showings of stealth and etc. But he's also known for baiting tactics that won't work here. Love Frank; but backing John. Damn, this would be the fight of the century. I don't know much about Wick tbh. Does he usually go for headshots or bodyshots? Headshots all day long. And even does pretty tactical leg shots when the situation calls for it. He won't be shooting any center mass shots for Frank once he sees his vest is armored. Wow I’m sad to see this didn’t get much attention. Frank narrowly has the edge over John. Frank wins. He fights more like a guerrila fighter in a gunfight, and John's style doesn't lend itself well to that nor to this battle's environment and conditions. John has rarely gunned down anyone who's not a nameless mook, and almost all encounters he has with anyone decent ends up in a CQC fight, which IMO Frank will win. Frank is better than wick at everything imo, including gun fights both short and long range. This battle would be epic and much closer than most BOTW. Frank is better than wick at everything imo, including gun fights both short and long rang. Everyone is saying that Frank beats Wick in CQC. I’m not sure this holds up due to differing styles. While Frank clearly has better pain tolerance, and superior striking feats, this may be overcame by Wicks use of “gun fu”. Wick pretty consistently uses his guns in CQC. While Frank seems to use up his clip to close the distance, then use environmental objects to kill. Even if they both have ammo once the distance closes I think Wick has the edge when it comes to CQC gun fights. If Wick has no gun (or ammo)in CQC Frank murderstomps. Overall I’d give John Wick 7/10 against Castle, mostly due to “gun fu” style headshots. I’ll reserve my vote; I’m open to having my mind changed.